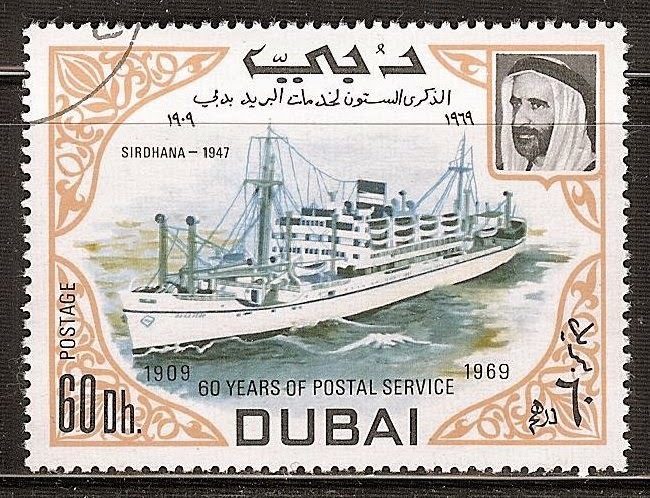 The 60h stamp issued by the Emirate of Dubai to commemorate 60 years of postal service depicts the motor ship Sirdhana. The Sirdhana was built in 1947 by Swan Hunter and Wigham Richardson for the British India Steam Navigation Company. Displacing 8,608 gross tons she had a length overall of 425' with a breadth of 62.7'.